Looking for a beautiful home with a garage large enough to store your boat and other desert toys? 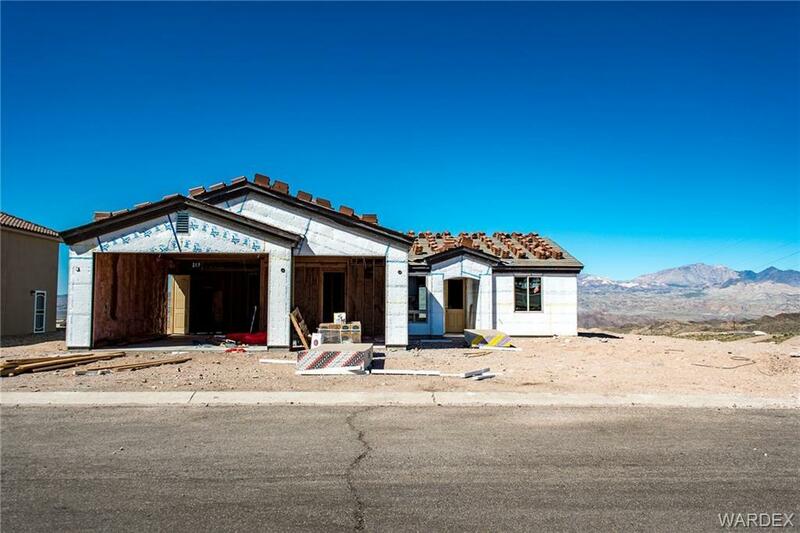 Come see the amazing new construction home located in the highly desirable, NO HOA, Sunridge Estate Community. Great home for family and guests, this open floor plan makes it easy to entertain both inside the spacious great room and outside on the large covered patio. Master bedroom has all the luxurious finishes including an over sized large walk in shower and a walk in closet to hold all your personal items. Additional storage in the garage for your holiday decorations. 3 car garage with a 34 foot stall will fit both of your cars and your boat!! Large corner lot allows for more parking on the side of the home. Enjoy the mountain views out your back cover patio as the sun goes down. Buy soon and you may still be able to pick out some of the finishings with the builder! Come live where the cool water of the Colorado River meets the hot sun of the Mohave Desert!